Did you know that common, everyday sounds can damage your ears and cause permanent hearing loss? If your environment often includes loud noises (anything over 85 decibels), it’s important that you invest in hearing protection to prevent further damage. For example, if you have a job in construction, law enforcement, aviation, or an industrial setting, your workplace may threaten your hearing health every day. 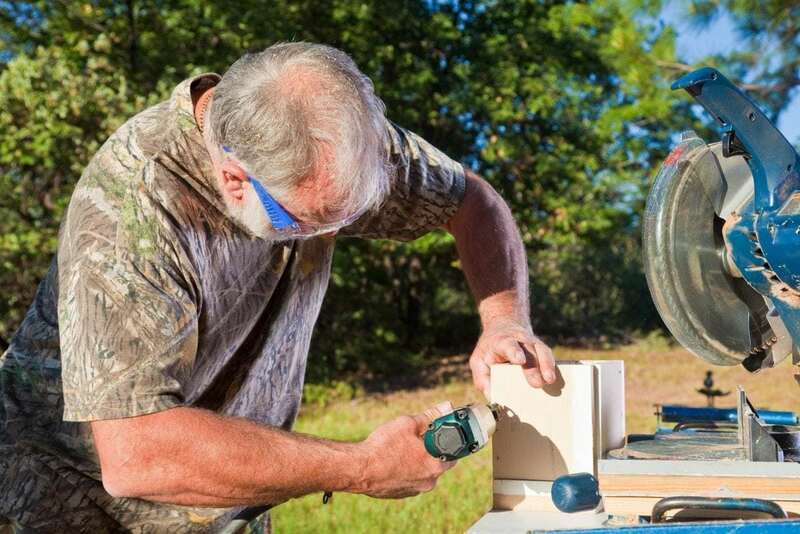 And if you enjoying recreational shooting, hunting, or loud music, you may need to protect your ears to ensure that your hobby doesn’t lead to hearing loss. Luckily, you can easily shield your ears from high-decibel noises using protective devices, such as ear buds, ear plugs, and ear muffs. With the help of an audiologist, you can find your perfect solution for hearing protection. Gunfire, loud music, ambulances, lawn mowers, the clamor of an industrial workplace – all of these commonplace sounds can cause permanent hearing loss if they’re over 85 decibels. Just how loud is 85 decibels? To better understand what 85 decibels sounds like and which noises you need to avoid, take a look at the chart below. These sounds, decibel ratings, and permissible exposure times were provided by the National Institute of Occupational Safety and Health and the Centers for Disease Control and Prevention (NIOSH/CDC). They may help you better understand the importance of sufficient hearing protection. The guidelines for exposure time come from the Noise NavigatorTM Sound Level Database, which was developed by Elliot Berger, MS, Senior Scientist with 3M Occupational Health and Environmental Safety Division. Many people make the mistake of assuming that if a noise only occurs for a short period of time, it won’t inflict auditory damage and putting on ear protection is not worthwhile. But every exposure to hazardous noise contributes to potential hearing loss. In just 30 seconds, you could damage your ears while using a leaf blower. After 30 minutes, that blaring night club could cause permanent injury. If you think you’re immune to the dangers of loud sounds or that the sounds you hear in your daily life are harmless, you’re wrong. Do you need to shout to be heard? Are you struggling to hear the person standing next to you? Does speech sound muffled after your leave the noisy area? Do you have a hard time hearing after the noise stops? Do you experience tinnitus (ringing or buzzing in the ears) after the noise stops? If you answered yes to any of these questions, the sound may be damaging your ears. Seek out hearing protection to prevent further damage. Approximately 22 million Americans are exposed to hazardous noise levels at work, according to NIOSH, causing $242 million to be spent on workers’ compensation claims annually for hearing loss disability. Due to this high level of risk, NIOSH recommends that “all worker exposures to noise be controlled below a level equivalent to 85 dBA for eight hours to minimize occupational, noise-induced hearing loss. NIOSH also recommends a 3 dBA exchange rate so that every increase by 3 dBA doubles the amount of noise and halves the recommended amount of exposure time” (source). In addition, NIOSH recommends that workplaces implement a hearing loss prevention program to further protect the hearing health of employees. This program should include hearing protection devices, periodic hearing tests, and education for workers, as well as accurate record keeping, evaluations, and audits for administrative purposes. Hunting places unique demands on the ears. The hunter must be able to hear very soft sounds – a deer stepping on a branch, a turkey gobbling in the distance – while still protecting his or her ears from the tremendous noise of the gunshot. Fortunately, hunters have many options when it comes to hearing protection. Custom or over-the-counter ear plugs and ear muffs can block the noise of the gun. In addition, some protective devices both amplify soft sounds and reduce the noise of gunfire to a safe level. Whether their music is mellifluous or raucous, professional musicians work in a high-decibel environment. Without sound protection, they may experience tinnitus, hearing loss, hyperacusis, or sound distortion. Traditional ear plugs do not work well in this industry, because they reduce sound by muffling low- to mid-range frequencies. However, special ear molds are available that protect musicians’ ears from loud sounds without distorting what they hear. In addition, many products available can enhance the musical experience by utilizing innovative new technologies. If you want to continue making and enjoying music for years to come, you need to protect your ears now. Most gunfire exceeds 140 decibels, and the noise level and risk of hearing loss only increase when the sound reverberates within an enclosed room. Unfortunately, up to 50 percent of all recreational shooters suffer from hearing loss to some degree, because they fail to wear reliable, high-quality hearing protection (source). Some also suffer from tinnitus. The good news is that this damage can be prevented with the appropriate protection. Recreational shooters can use electronic ear plugs to enhance the sounds that surround them but also reduce impulse sounds (like gunfire) to a safe level. You can purchase electronic ear plugs with custom molds for a personalized experience or more standard, economical alternatives. If you work in law enforcement, you understand how your sense of hearing impacts your job performance. It influences your ability to perceive and react to your surroundings, your recognition of auditory stimuli, and your communication skills (face-to-face or via radio or telephone). Sometimes members of law enforcement experience temporary hearing loss due to a weapon fired in close proximity or within a confined space. Other auditory threats include ambulance sirens, firearm training sessions, and loud environments (like heavy traffic, concerts, and construction sites). These loud sounds can cause severe auditory damage over time and result in irreversible hearing loss. If you’re a member of law enforcement, we encourage you to explore automatic devices that offer hearing protection, eliminating loud noise spikes while also returning environmental sounds. Do you work in a loud, industrial environment? Listening to booming equipment and roaring machinery all day can cause long-term hearing problems. Ear plugs significantly reduce loud noises and prevent hearing loss when properly fitted. If the ear plugs don’t fit your ears, however, they will not prevent damaging noises from penetrating the ear canal. Loud, sudden noises are more harmful to the ears than regular, extended exposure to loud sounds over a period of time. For this reason, hearing protection is especially important if your work environment includes the sounds of gunfire, industrial equipment, motorcycles, woodworking tools, loud music, motorized lawn equipment, and any other sounds over 90 decibels. As Benjamin Franklin famously said, “An ounce of prevention is worth a pound of cure” (source). Just as you would take preventative measures to protect yourself from heart disease or diabetes, it pays to protect your ears from hearing loss. Do you value your ability to hear clearly? Whether you’re at work or at play, wear suitable safety gear to protect your ears from loud sounds. This form of hearing loss is 100 percent preventable. To better understand your options, contact Sound Relief Hearing Center today. Our audiologists can help you explore the array of protective hearing devices available, including custom ear muffs, ear buds, and ear plugs. For example, you might be interested in filtered ear plugs, which are custom-made and tailored to your level of noise exposure so that you can avoid permanent hearing loss and tinnitus while still enjoying the fullness and vibrancy of sound. With our help, you can prevent hearing loss before it occurs or ensure that your current hearing loss does not worsen in severity. With all of the options available, there is no excuse for not using hearing protection. Schedule an appointment today to get started.